My name is Diane and I got involved with SCAF a few years ago. 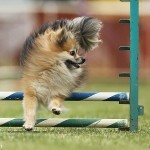 I train 3 Pomeranians at WAG (Western Agility Group) in Elk Grove, CA. My 7-year-old Champion, Leo has been competing consistently since 2009 and earned his C-ATCH in May, 2012. 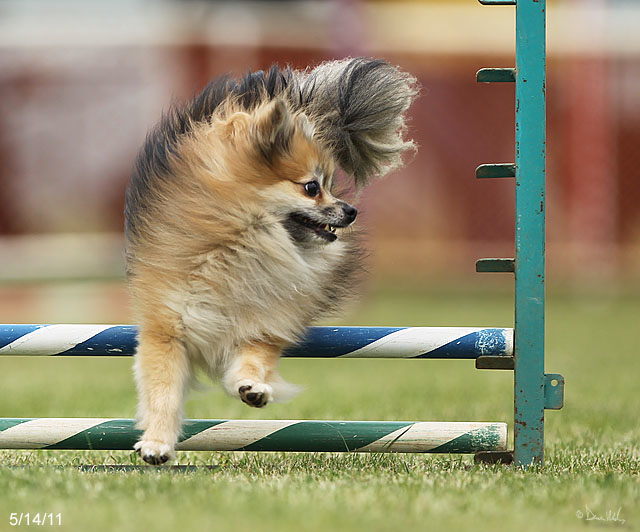 I started out volunteering for SCAF during a couple of NADAC Agility Trials, by serving lunch to the exhibitors. I quickly "graduated" to organizing, setting up, and staffing a few more lunch fundraisers. That June, I was nominated for President! SCAF has brought so much hope and joy to canine owners in need who've been given grants. My dogs are healthy, but I know that could change at any time. My income allows me to care for my healthy dogs...what if they were to become injured or ill? I know SCAF would be there with a grant of aid, and my service to this charity is my way of being thankful in advance. I am grateful to Mickey & Sue Horn for their dedication to SCAF and for helping me become a part of it, too.